We are excited to announce our news & events For 2019! 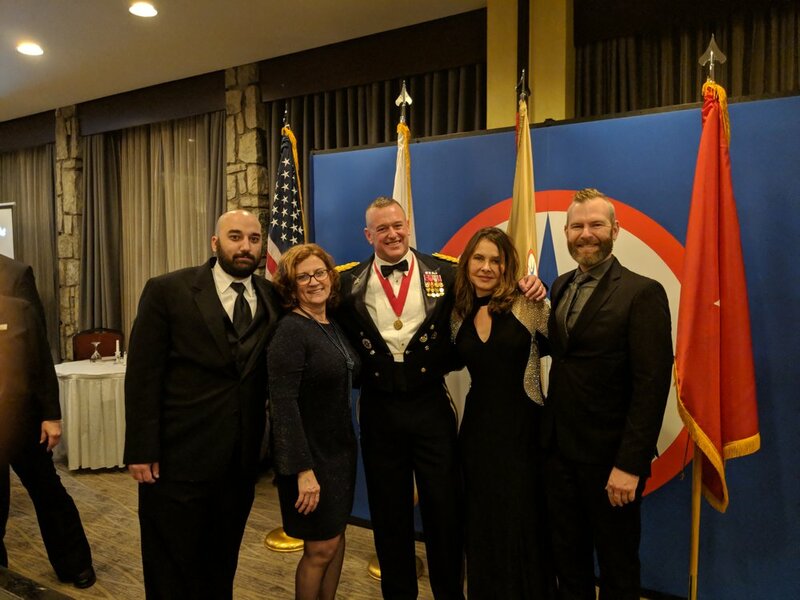 OVArts Veteran Design Team members attended the McGarity Army Reserve Center “Holiday Dining Out” party hosted by Brigadier General Robert Harter, Commanding General, 316th Sustainment Command (Expeditionary). The event was held at Grand Salon of the DoubleTree by Hilton,Pittsburgh Airport. OVArts Veteran Design Team member, Derrick Smith Clark, was featured as a panelist at a Veterans Day program hosted by the Veterans Breakfast Club at Threadbare Cider House. The panel addressed ways in which Veterans come together to support their communities. 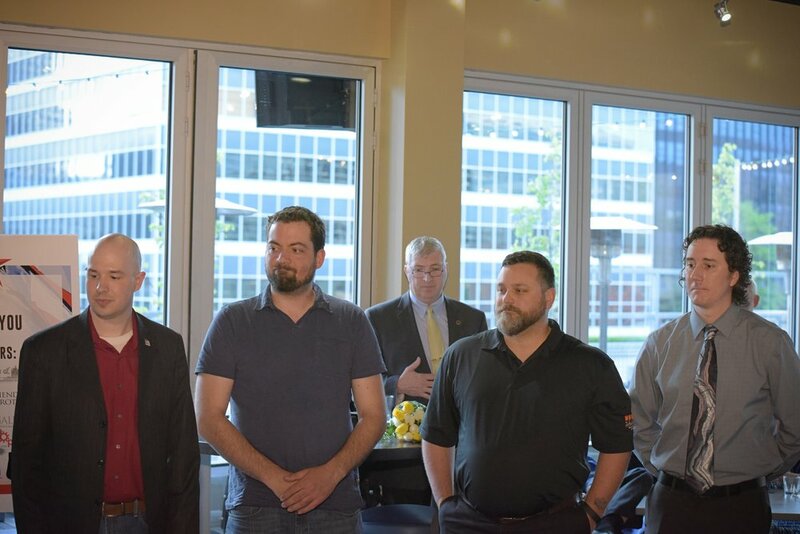 Allegheny County Executive and guest speaker, Rich Fitzgerald, formally introduced The McGarity Army Reserve Project Veteran Design Team at our Terrace on Fifth event. 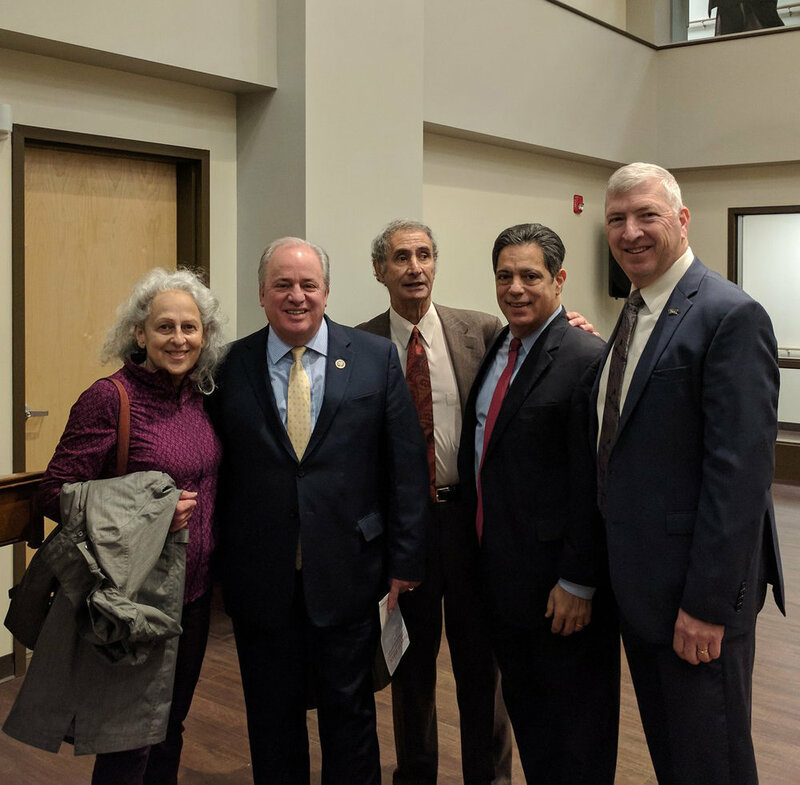 Guest speaker, Judge John Zottola of the Allegheny County Veterans Court, spoke to guests about the work of the Veterans County to assist Veterans in navigating the County judicial system. Guests enjoyed music, food and a lovely sunset at Terrace on Fifth.